The Alliance offers publications to faculty, staff and physicians-in-training. AAIM is the official sponsor of The American Journal of Medicine. Each issue includes AAIM Perspectives, articles that provide interesting perspectives on medical education, policy initiatives, and other issues of interest to physicians and staff in academic internal medicine. 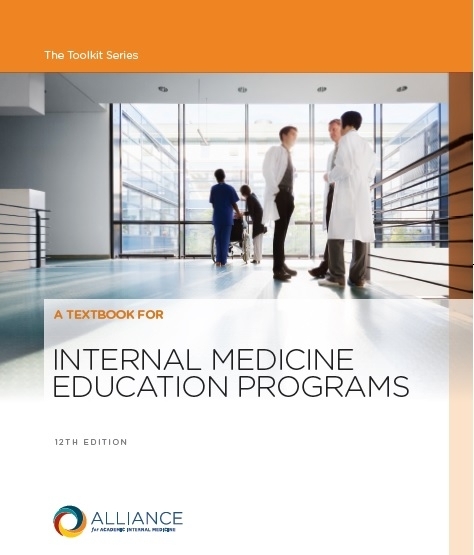 The new edition of A Textbook for Internal Medicine Education Programs features more than 10 new chapters and 35 revised chapters. Buy your copy (print or Kindle) on Amazon today! 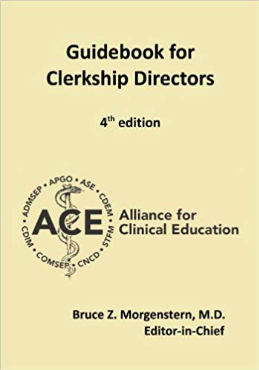 CDIM is a major contributor to the Alliance for Clinical Education (ACE) Guidebook for Clerkship Directors. The book offers advice and practical solutions to the issues that affect clerkship directors across disciplines, including orientation, curriculum, evaluation, instructional strategies, role of the director and administrator, and faculty and career development. The fourth edition is available as a print book from Gengensatz Press for $55. Kindle edition is $19.99 and can be ordered from Amazon. Updates of the clinical content. Expansion of the description of prerequisites. Alignment of the guide’s competencies with those instituted by the Accreditation Council for Graduate Medical Education. The third version of the Core Medicine Clerkship Curriculum Pocket Guide is available from CDIM and Society of General Internal Medicine (SGIM). The pocket guide provides easy access to the two areas of the medicine clerkship curriculum: basic competencies and clinical training. It outlines the knowledge, skills, and attitudes that medical students should be able to demonstrate upon completion of the core internal medicine clerkship. Ask about discounts for bulk orders (greater than 50). This new sub-internship curriculum is a practical evidence-based curricular toolkit to improve intern readiness. Developed by the AAIM Medical Student to Resident Interface Committee, the curriculum integrates internal medicine program director perspectives to prioritize core skills and EPAs most relevant to internal medicine residency. 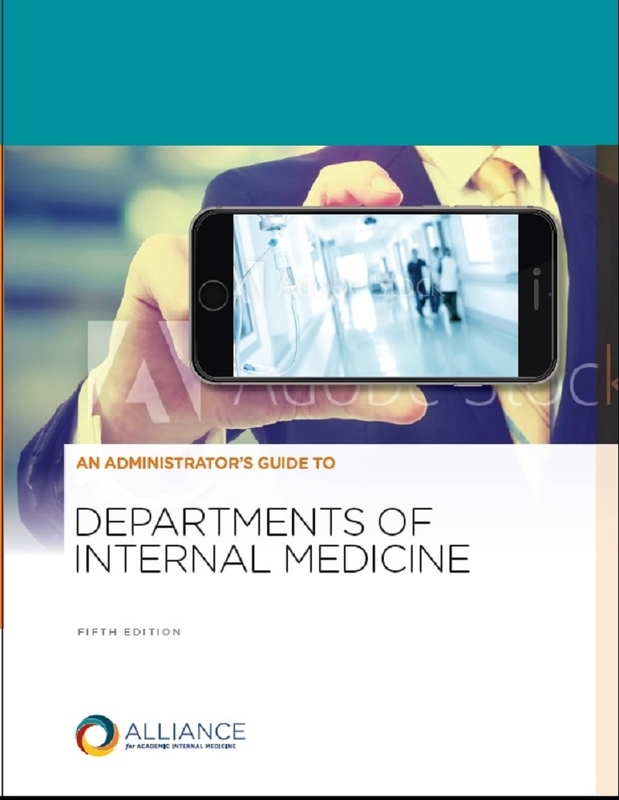 Each chapter provides literature reviews, learning objectives, and tools for sub-internship directors. First published in 2002, this revised document reflects the most salient issues in medical school to residency transitions. 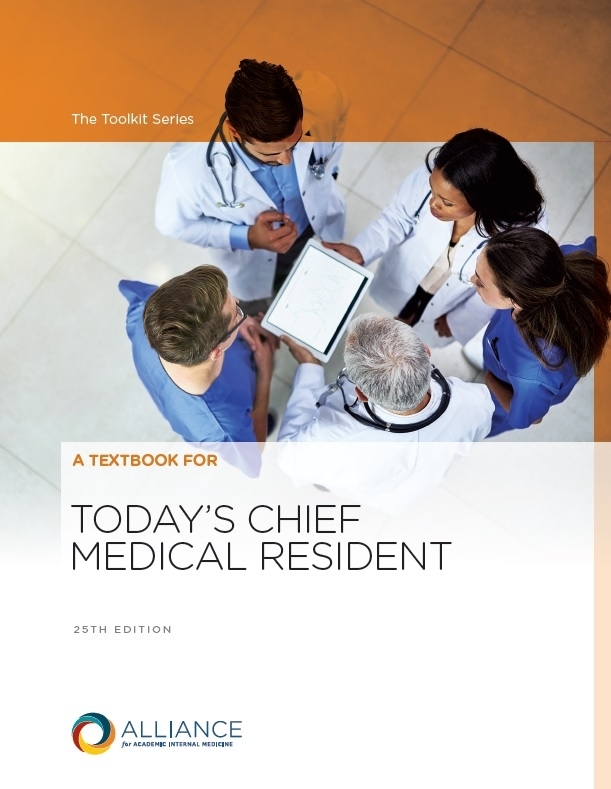 The 25th edition of A Textbook for Today's Chief Medical Resident is a vital reference for new chief residents—for internal medicine and beyond. The 25th edition is now available for $85 per copy. This book is available for sale on Amazon now! Discounts on bulk purchases (greater than 10 books) are available through the AAIM office at publications@im.org. 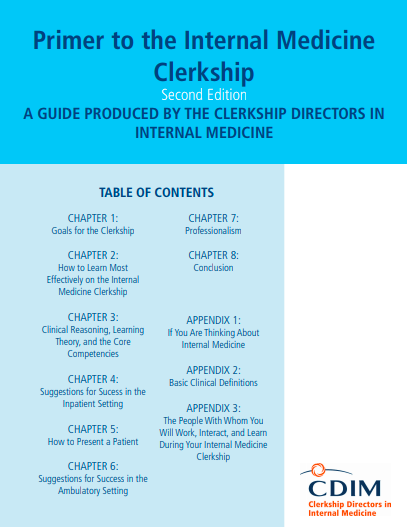 Designed to provide “tried and true” approaches to help students succeed on the internal medicine clerkship, CDIM’s Primer to the Internal Medicine Clerkship, Second Edition is now freely available for distribution to students starting their clerkships. The Primer addresses subjects such as performing histories and physical examinations, building differential diagnoses, working productively with outpatient preceptors, and exemplifying professionalism. CDIM encourages wide distribution and reproduction of the Primer; an Adobe Acrobat version is available below. A Microsoft Word version, suitable for tailoring for individual clerkships, is also available. 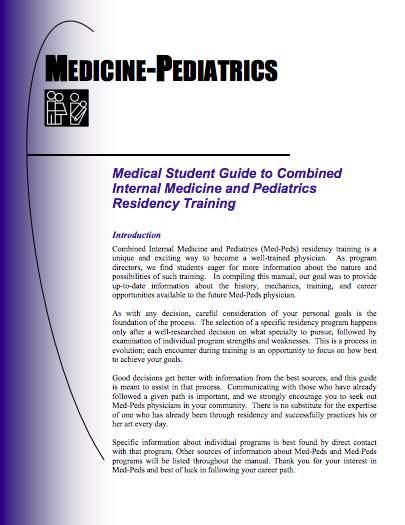 This publication provides students information about the history and mechanics of combined internal medicine-pediatrics residency as well as the training and career opportunities available to future med-peds physicians. This book can be purchased on Amazon in print or Kindle format. Discounts are available for bulk print orders (more than 10 copies). Please contact publications@im.org for more information. Created by clerkship administrators and written by medical educators, AGuidebook for Undergraduate Medical Education Administration focuses on issues specific to managing student education from a cross-disciplinary perspective. Chapters cover curricular management, program evaluation, managing resources, student advocacy, career development, and other helpful topics. Released in 2014, the guidebook is downloadable in Adobe Acrobat format. The Guidebook is not a product of nor endorsed by the Clerkship Directors in Internal Medicine or the Alliance for Academic Internal Medicine.